Experience the vivid autumn colours of Japan! Autumn/fall is one of the most picturesque times in Japan, when maple leaves transition through majestic colours of the sun. Join us on our incredible 17-day Classic Japan Autumn Tour, where you will experience the best this season has to offer – and how to capture the pictures that will reflect memories for a lifetime. You name it, Japan has it all – traditional culture proudly practiced in modern day, leading futuristic cities, diverse landscapes showcasing spectacular natural wonders, and ancient temples preserving thousands of years of history. Led by Julius Pang, a Japan expert and award-winning travel photographer, you’ll learn how to take better travel photos and visit the best spots in Japan to take amazing photos of the autumn colours. We roam the great cities of Osaka and Tokyo, capturing the buzz of the night and the bustle of the day. 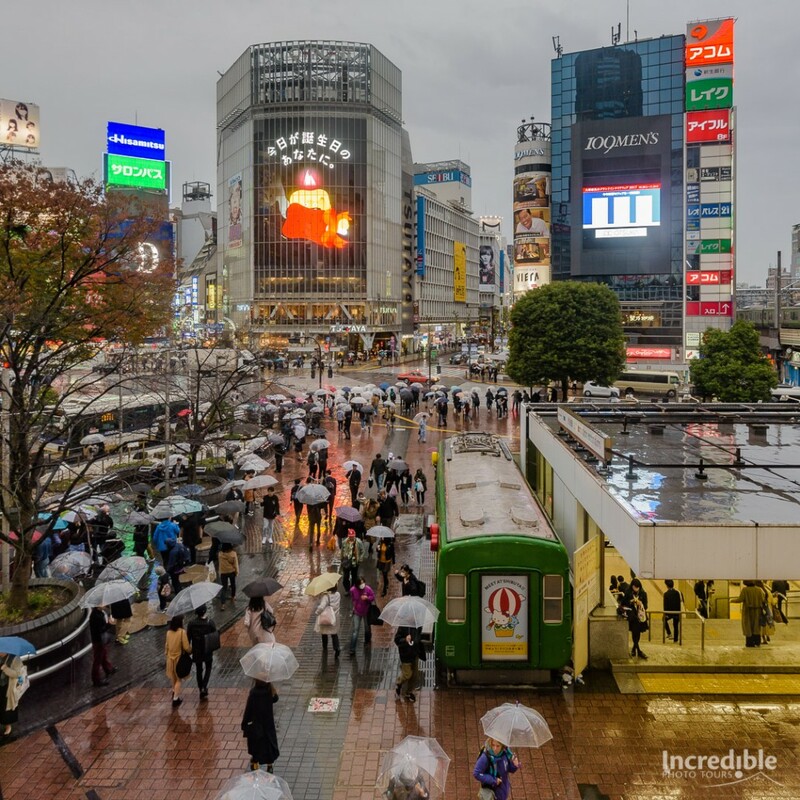 Experience the energy and buzz of Dotonbori, Shibuya, Shinjuku, Harajuku and Ginza, some of the most famous urban areas in Japan, and perfect for street photography and cityscapes. Leaving Tokyo, we visit Lake Kawaguchi, part of the Fuji Five Lakes area, which boasts stunning views of Mount Fuji. No visit to Japan is complete without experiencing a Japanese castle, and we visit the best one, Himeji Castle. After paying our respects with a sombering visit to Hiroshima Peace Park, we journey to nearby Miyajima island, home to the World Heritage listed Itsukushima Shrine and its stunning ‘floating’ torii gate. 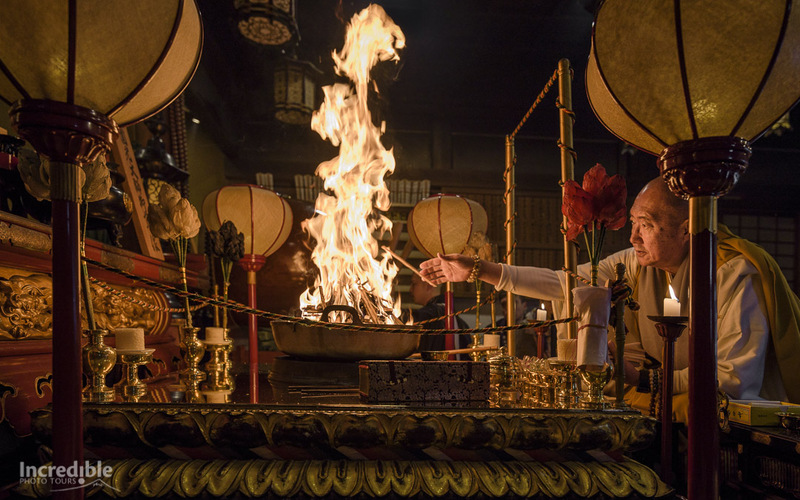 Our trip also includes a visit to Mount Koya, the center of Shingon Buddhism, where we overnight at a temple lodging (shukubo), visit the amazing Okunoin cemetery, and get a glimpse at the daily lives of monks. No trip to Japan is complete without a visit to historic Kyoto, mighty in temples, glorious in landscape, and saturated in proud culture. This is the city to witness geisha up close and watch the elegance of their traditional art and service, a peek into their exclusive world. The gardens of Kikakuji, Enkoji, Hogonin, Genkoan, and Tofukuji are at their best – vivid, rich, and popping with colours red, orange, yellow and green. We finish off with a visit to Kanazawa located on the Sea of Japan coast. Here you can visit the famous Kenrokuen Garden, and try your hand at traditional crafts with a kagayuzen dyeing workshop, before we return back to Tokyo. This is the tour that shows you the postcard shots, the history, and the secret hot spots of Japan. BOOK NOW for our early bird special! Autumn colours at their peak during the season! Tofukuji Temple – one of Kyoto’s most famous autumn colour spots. 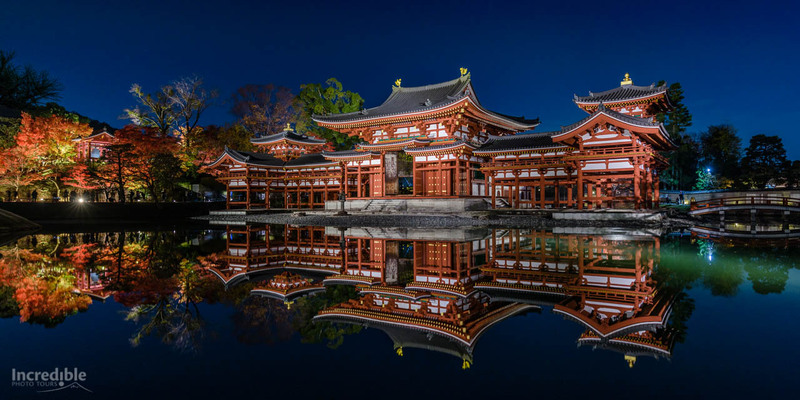 Rurikoin – One of Kyoto’s most exclusive temples open to the public only seasonally. Byodoin – a stunning temple south of Kyoto, and featured on the back of the 10 yen coin. Mount Koya temple stay – Experience an overnight temple stay on Mount Koya, the centre of Shingon Buddhism. Tokyo Skytree – Asia’s tallest building at 634m with spectacular views over Tokyo. Toyosu Fish Market – famous for its tuna auction and amazing variety of seafood. Fushimi Inari Shrine – famous for the thousands of red torii gates on the mountainside. Todaiji Temple – besides being one of the world’s largest wooden buildings, Todaiji also houses the world’s largest bronze Buddha statue. Visits to several Kyoto World Heritage sites, including Kinkakuji (the Golden Pavilion), Ginkakuji, and Ryoanji. 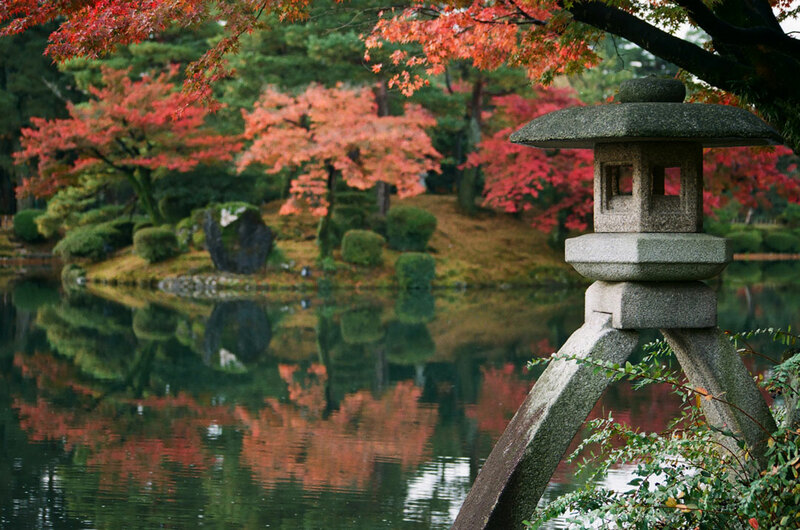 Kenrokuen – one of Japan’s “Three Great Gardens”, featuring the famous kotojitoro stone lantern. 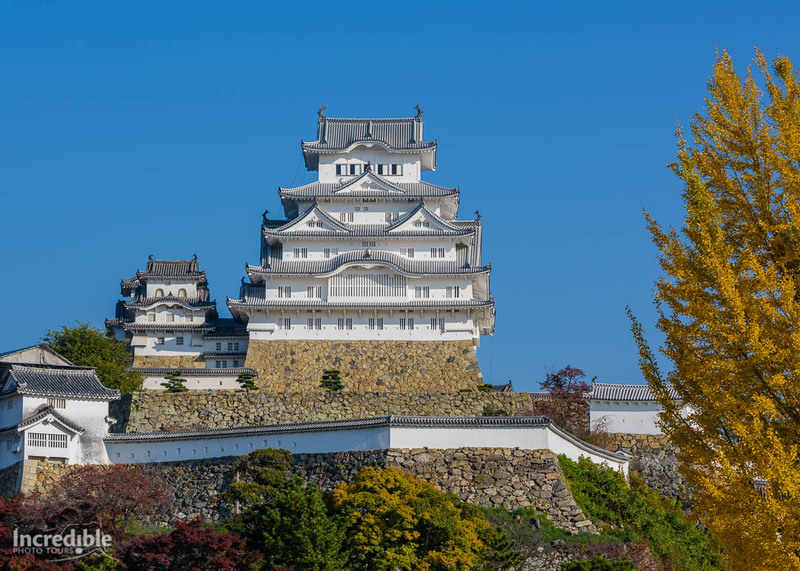 Himeji Castle – Japan’s finest original castle. 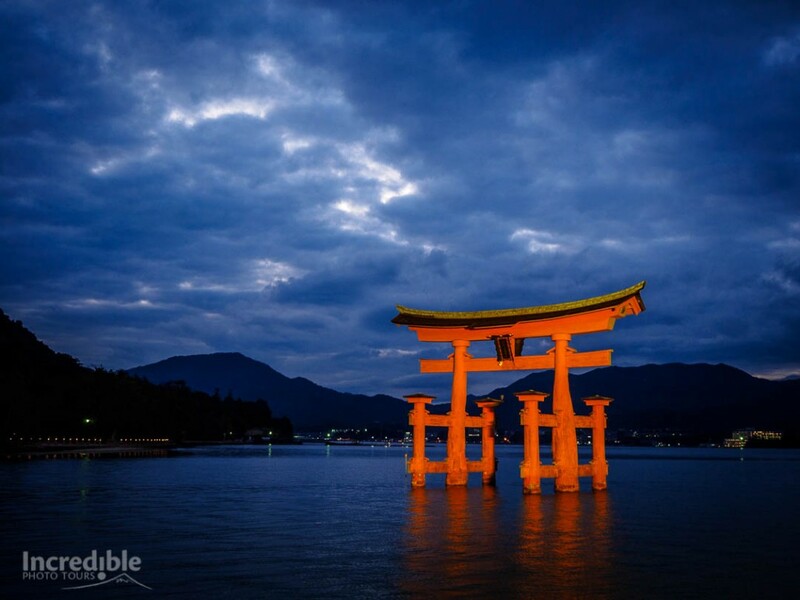 Miyajima – famous for its iconic “floating” torii gate and Itsukushima Shrine. Private geisha lunch and photo session – it’s just our small group with a geisha and interpreter! Limited places available for this Japan autumn photography tour! * All prices shown are based per person in Australian dollars and include all taxes, gratuities, land transport, and some meals as indicated. Accommodation provided is based on twin share. Single supplement available at additional cost of $1295. Airfares are not included and must be organised separately. Prices and itineraries at time of publishing but are subject to change. Payments online using Paypal attract a 3.6% service charge. No service charge applicable for direct deposit payments. Please call or email us for more details. View our full terms & conditions here. To book your place on the 2019 Classic Japan Autumn Tour, you will need to complete a Booking Form and make a deposit*. We accept payments via direct deposit, Paypal or a credit card (through Paypal). * Tour deposit is non-refundable and the balance payment of the tour is to be paid to our bank account via direct deposit or Paypal no later than 60 days of tour departure. Payment details will be emailed to you upon confirmation of your deposit payment and allocation of your place on the tour. Full Payment and balance payment online using Paypal includes a 3.6% service charge. There is no service charge using direct deposit. By making a Deposit or Full Payment you agree to our booking terms and conditions. Places visited: Tokyo, Lake Kawaguchi, Himeji, Kyoto, Hiroshima, Miyajima, Mt Koya, Osaka, Kanazawa. * please note this tour includes significant use of public transport and walking as methods of transport. Accommodation: 3-4 star Hotels in Tokyo, Kyoto, Hiroshima, Himeji, Okayama and Osaka; Ryokan (Japanese style inn) in Lake Kawaguchi; Shukubo (temple lodging) in Mt Koya. 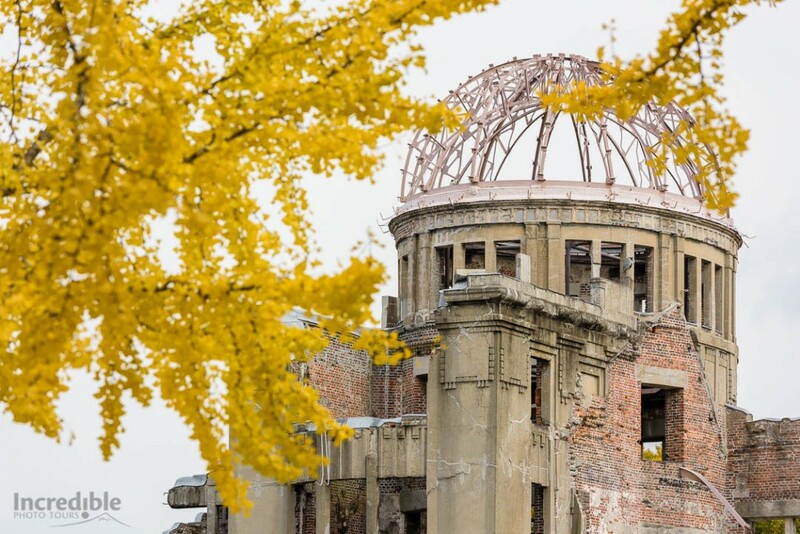 I greatly enjoyed my photography holiday to Japan with Incredible Photo Tours and Julius. It was an action packed holiday with an excellent overview of Japan and ample time to take photographs. My partner and I went on the Japan Autumn Tour 2016 with Incredible Tours. Not having gone on a photography tour before we were both a little anxious and did not know what to expect. Arrive at Narita or Haneda Airport and make your way to our accommodation located in Asakusa. If you arrive early you can take the opportunity to explore the world-famous shopping area of Ginza or around Tokyo Station. A welcome dinner will be held and we’ll discuss the photography and activities we will undertake in Tokyo over the next two days. 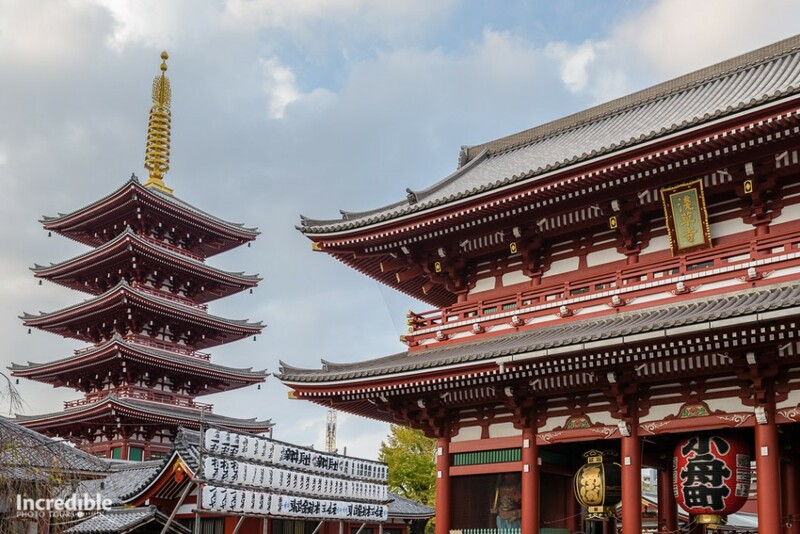 A packed first day as we start off with an early morning visit to Tokyo's most famous temple – Sensoji Temple in Asakusa. We then head to Odaiba Bay, featuring the iconic Fuji TV building and the TeamLab Digital Museum, with its amazing interactive exhibits and stunning light and "infinity room" effects. 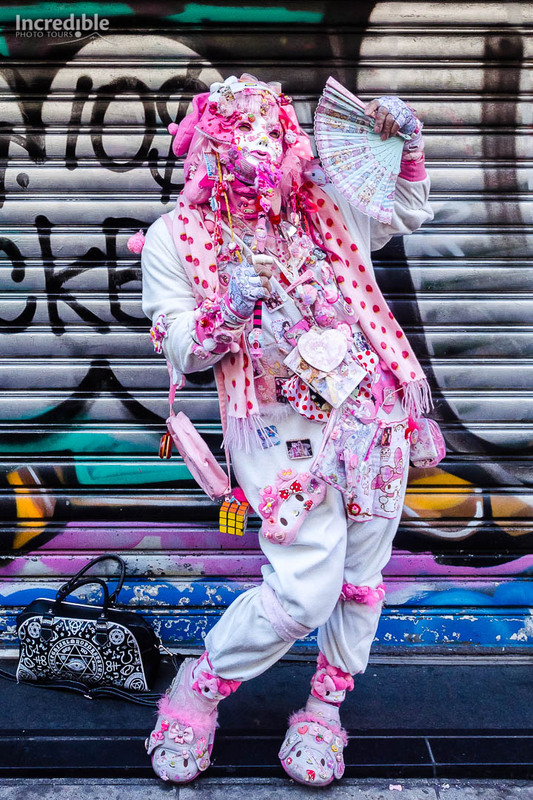 We next visit Harajuku, the youth fashion hub of Tokyo, where you'll encounter crazy fashion and sweet snacks galore! One train stop away is Shibuya, home to the world's busiest pedestrian crossing. Be part of the experience of crossing the street with a thousand other people at the same time! We finish off our day at Tokyo Skytree, the second-tallest structure in the world and tallest in Asia at 634m! 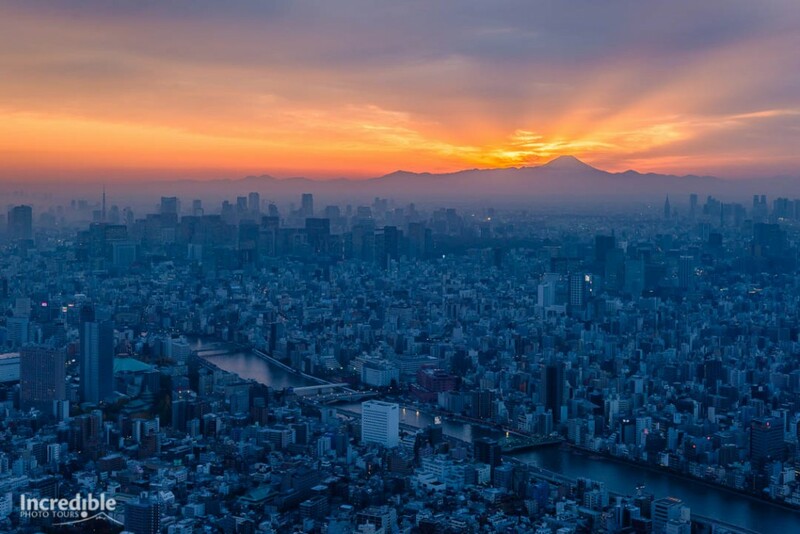 There are amazing views to be had and fantastic opportunities to capture the Tokyo cityscape literally beneath you as the sun sets and the night lights illuminate the city. A morning visit to Showa Memorial Park, one of the largest parks in Tokyo and a fantastic location for autumn colours. 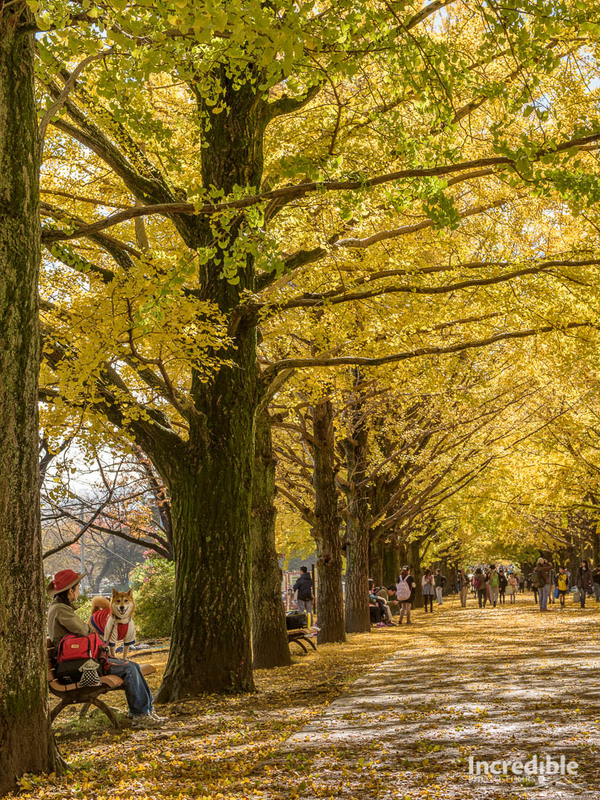 The highlight here are the ginkgo trees, including a beautiful ginkgo avenue. In the afternoon is free for you to explore some of Tokyo on your own. This morning we head to Lake Kawaguchi, part of the Fuji Five Lakes area and located 3 hours from Tokyo. Lake Kawaguchi is a popular spot for views of Mount Fuji in Japan, and is especially photogenic during autumn season. 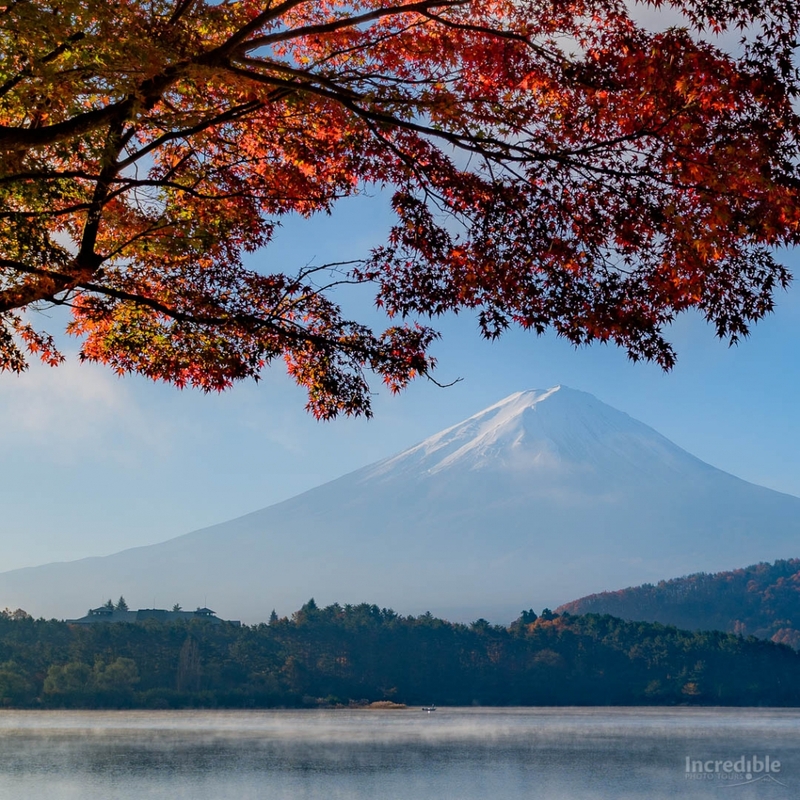 A relaxed afternoon as we enjoy the maple leaves around Lake Kawaguchi's northern shore, and you can also visit the Kubota Itchiku Museum to see some of the most stunning kimonos ever created. Our final morning photographing around Lake Kawaguchi today and with good weather some great views of Mount Fuji. We depart Lake Kawaguchi in the afternoon and make our way down to Himeji. An early morning start as we photograph one of Japan's most famous buildings, Himeji Castle, at sunrise. This castle is considered the most beautiful of Japan's original castles. We spend the rest of the morning exploring Himeji Castle - climb the six floors inside the castle and enjoy a fantastic view of Himeji City. In the afternoon, we make our way to Hiroshima. We spend the day in Hiroshima Peace Memorial Park, the location of the Atomic Bomb Dome, Children’s Peace Monument (the “Sadako statue”), the Memorial Cenotaph, and the Peace Memorial Museum. These monuments make for a moving experience and time for contemplation. In the afternoon, we make our way to Miyajima, home to Itsukushima Shrine and its iconic “floating” torii gate in the water. This sight is ranked as one of Japan’s three best views. There's also the wonderful Daishoin Temple, full of interesting features located in the hillside behind Itsukushima Shrine. We have a long transit this morning to Mount Koya (Koyasan), the center of Shingon Buddhism. We stay overnight at a temple lodging (shukubo) where you can get a taste of a monk's lifestyle. There is also the option to visit the Okunoin Temple cemetery as part of a night tour* run by one of Mt Koya's temples. * Okunoin night tour subject to weather and temple scheduling. We have an early start to experience the unique morning prayer ritual of our temple before breakfast. We explore more of Mount Koya including Okunoin Temple, where the Kobo Daishi, the founder of Shingon Buddhism is enshrined. 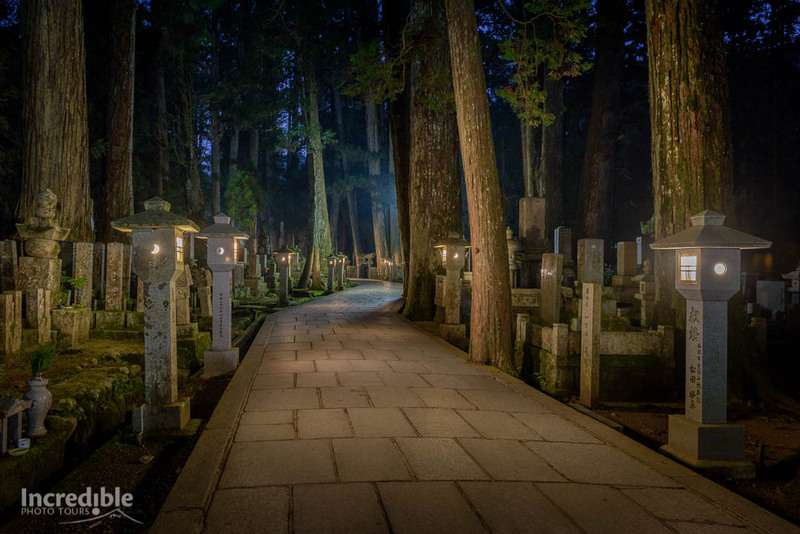 The cemetery surrounding Okunoin is the largest in Japan. In the centre of town, we visit Kongobunji Temple, the headquarters of Shingon Buddhism and featuring beautiful screen doors and Banryutei, the largest rock garden in Japan. After lunch, we make our way to Osaka, the economic centre of the Kansai region and famous for its street food. During the evening we'll visit Shinsekai, home of one of Osaka's best known food specialties, kushikatsu - deep fried skewered meat and vegetables. This day is free for you explore on your own! Take the opportunity to visit some of Osaka's landmarks, including Osaka Castle, the Umeda Sky Building, or Osaka Aquarium. If you are especially keen, you could also visit the Osaka Central Wholesale Market* which has its own tuna auction, a much more intimate affair compared to the famous Tsukiji Market tuna auction of the past. 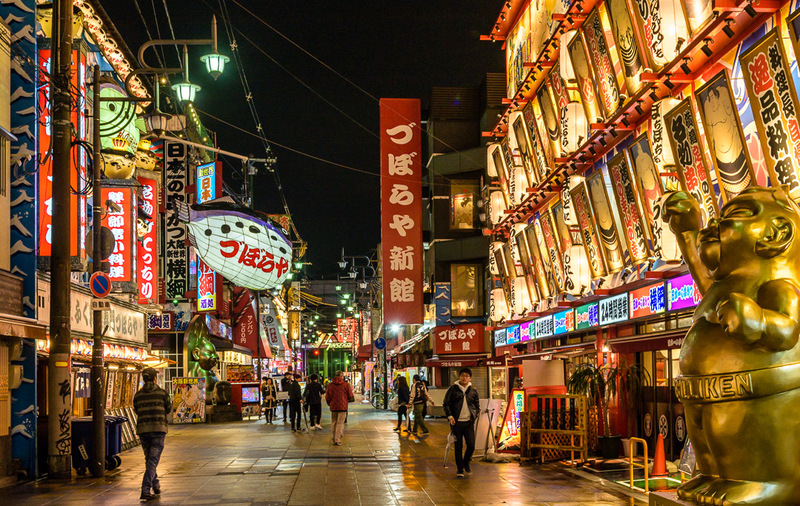 In the evening, we visit Dotonbori, Osaka’s famous food and nightlife district. Osaka is home to some of Japan’s famous street food, including okonomiyaki (Japanese-style “pancake”), and takoyaki (octopus-filled batter balls – you just have to try it!). 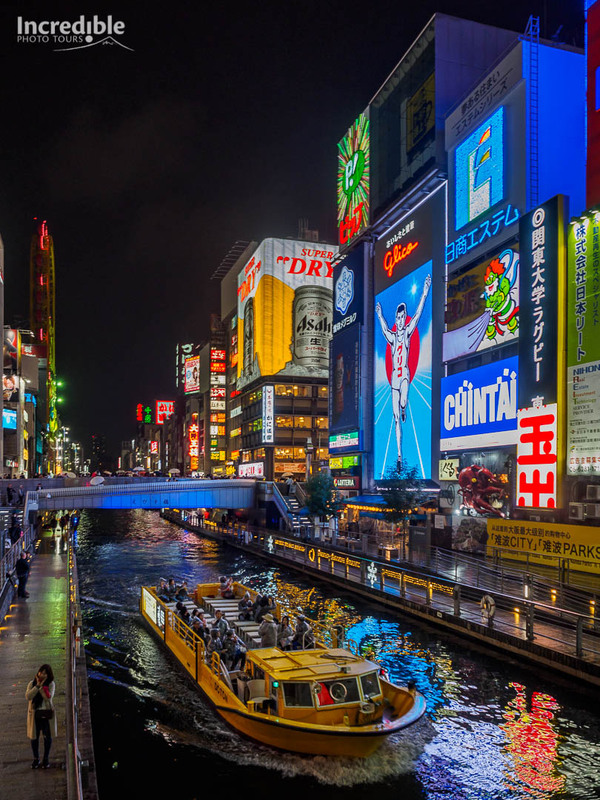 We will explore Dotonbori and you will get to see and shoot the enormous neon signs surrounding Ebisu Bridge. * The Osaka Market is open Mon-Sat, except national & temporary holidays. The tuna auction starts at 4:15am, and currently there are no restrictions on tourist access, but this may be subject to change. We leave Osaka this morning and make our way to Kyoto, Japan's cultural capital. Today we will cover some of Kyoto's famous temples. 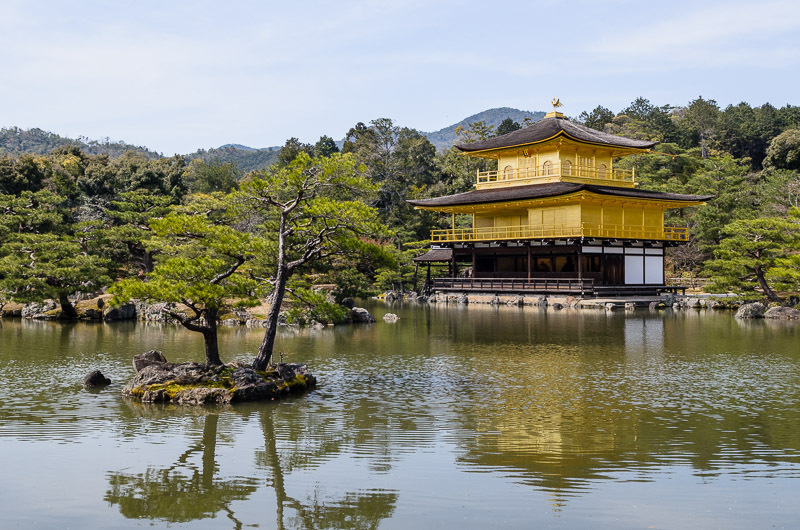 Our first stop is the stunning gold-covered Kinkakuji (also known as the “The Golden Pavilion”), one of Japan's iconic temples. 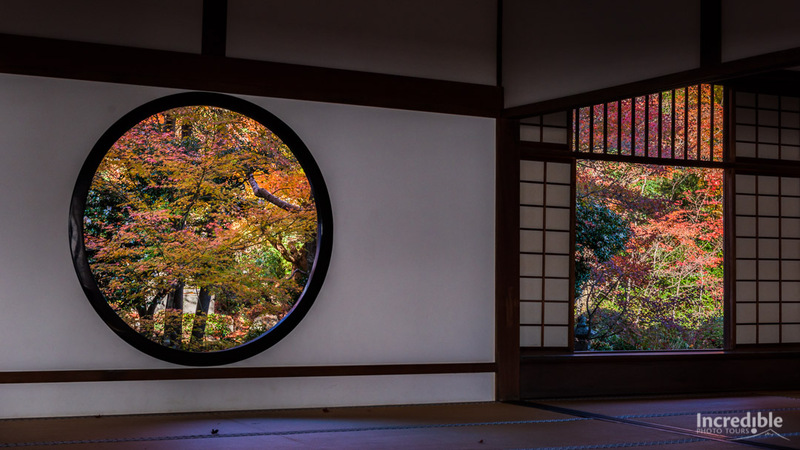 Next is a new location to our autumn itinerary, Genkoan, a temple off the main tourist trail with some of the most beautiful garden viewing windows you'll see anywhere – the round "Window of Enlightenment" and square "Window of Confusion". It even has a blood-stained ceiling thanks to its unique history! 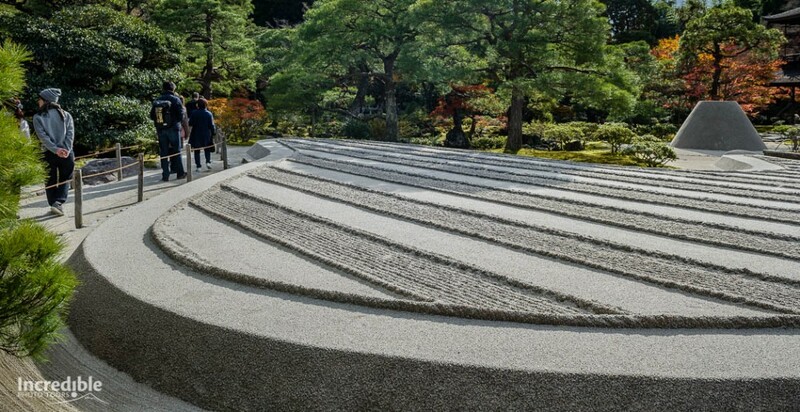 In the afternoon, we visit Ginkakuji (also known as the “The Silver Pavilion”), famous for its incredible dry sand garden. This morning we visit Arashiyama in western Kyoto, a popular destination for tourists and locals alike especially during cherry blossom and autumn colour seasons. 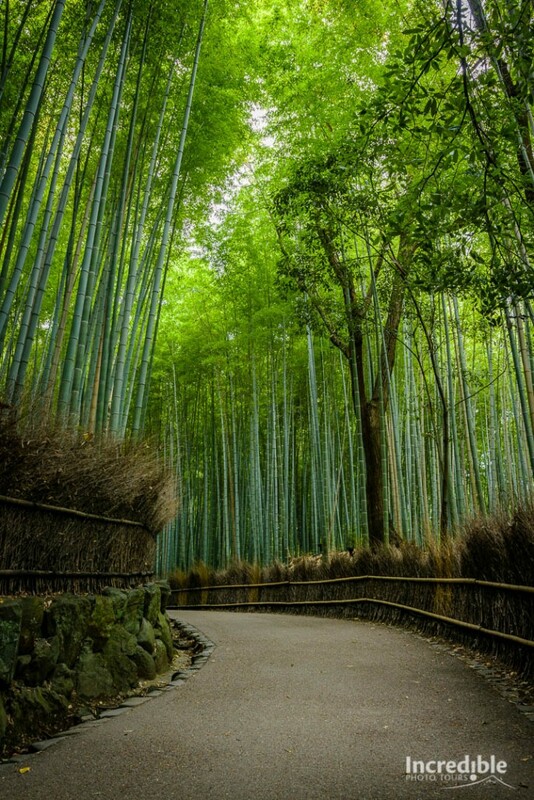 Among the attractions in Arashiyama are the famous Sagano bamboo forest and Tenryuji Temple with its outstanding garden. The rest of the day is free time to explore Kyoto on your own, and you can also join an optional evening tour to see some of Kyoto's wonderful autumn illuminations. A pre-dawn start as we visit Fushimi Inari Shrine and its thousands of torii gates, which make a seemingly endless vermillion tunnel up the mountain side. The gates look amazing as the light changes with sunrise. Our next spot is Rurikoin, a beautiful small temple in northeastern Kyoto famous for its autumn colours. For the afternoon we'll head to Nara, a former capital of Japan with several significant historical monuments. 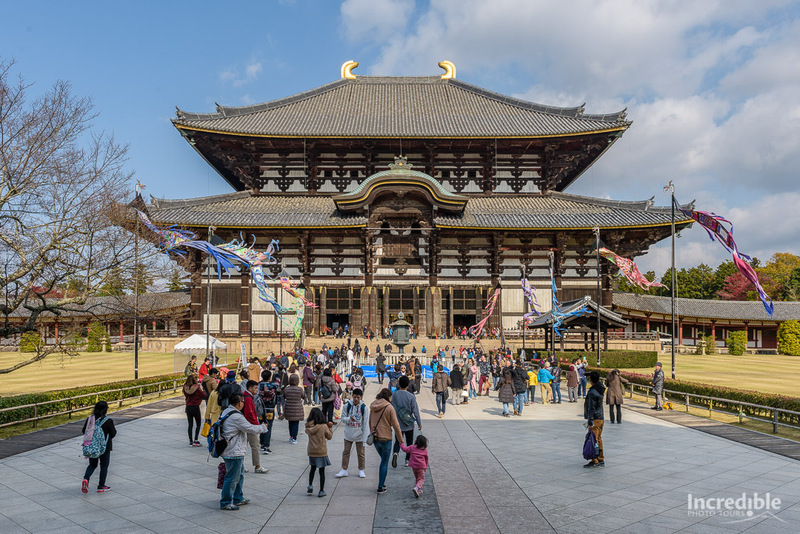 We will be visiting Todaiji temple, one of the world’s largest wooden buildings, and housing the world’s largest wooden Buddha statue inside. 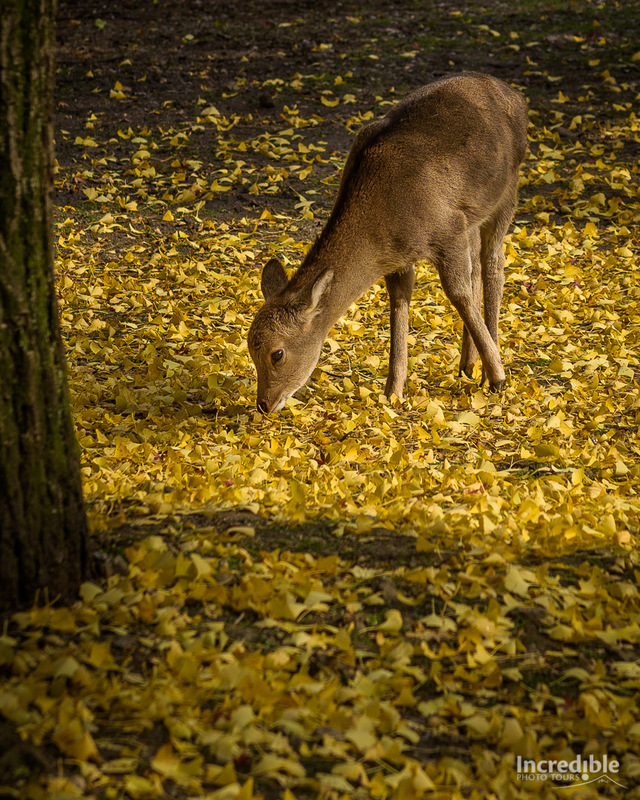 We will also walk around Nara Park, home to hundreds of free-roaming deer! For our final day in Kyoto we have have an early start with a visit to Tofukuji temple, one of Japan’s most famous autumn colour locations. 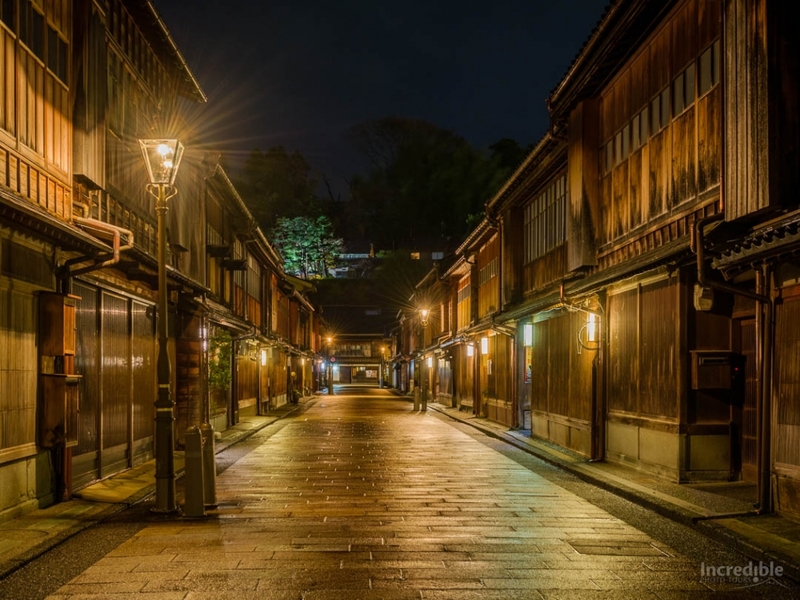 Next is our tour's special highlight – a walking tour of Gion guided by a Kyoto guide, with a special lunch followed by a photography session with a maiko (apprentice geisha), there to serve and talk with us! 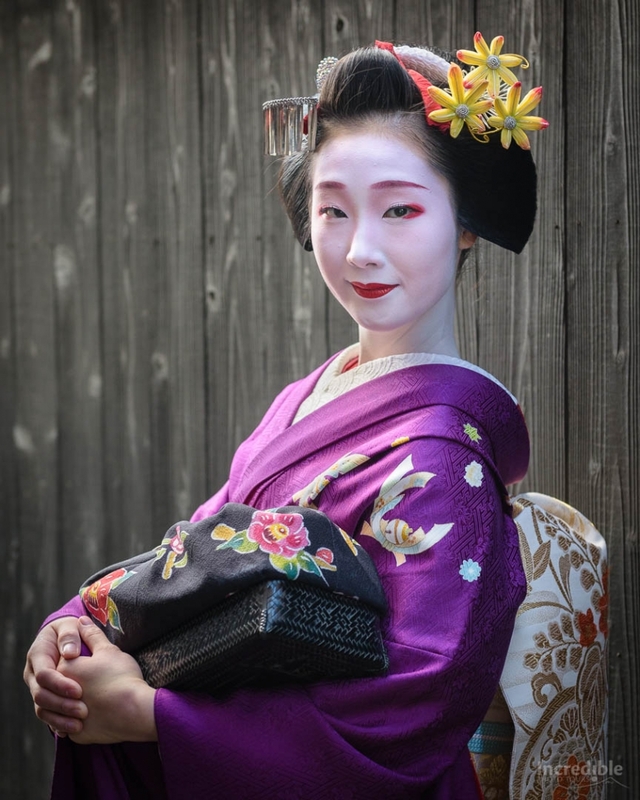 Learn more about the world of geisha while taking photos in a traditional Kyoto teahouse. This is a truly exclusive gathering, it’s just our tour group, our guide/interpreter, and the geisha. And yes, you will have the chance to take photos with the geisha! We finish our day in Kyoto and make our way to Kanazawa in the evening. A full day exploring Kanazawa, often described as "little Kyoto", but a beautiful historic city in its own right. We start off with a fun visit to the Ninja Temple, unique for its labyrinthine design and hidden rooms. Don't get lost in here! Next Kenrokuen Garden, one of the famed "Three Great Gardens" of Japan, and featuring the iconic Kotoji-toro stone lantern. We finish our day with an evening visit to the historic Higashi Chaya District, home to several of Kanazawa's working geisha. An exciting morning as we finish off our time in Kanazawa. 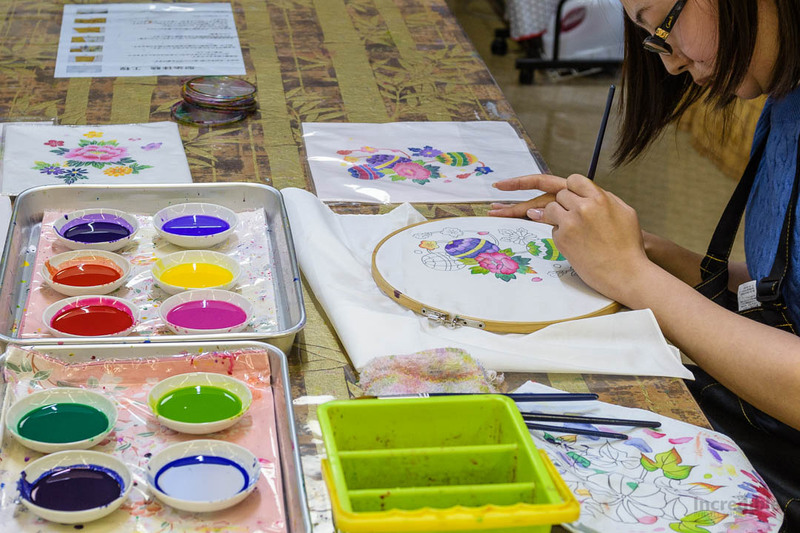 Join a fun and educational workshop and learn more about the art of kagayuzen, a traditional silk and textile dyeing technique used often in creating colourful and vivid patterns for kimonos. Next is a visit to the tranquil D.T. 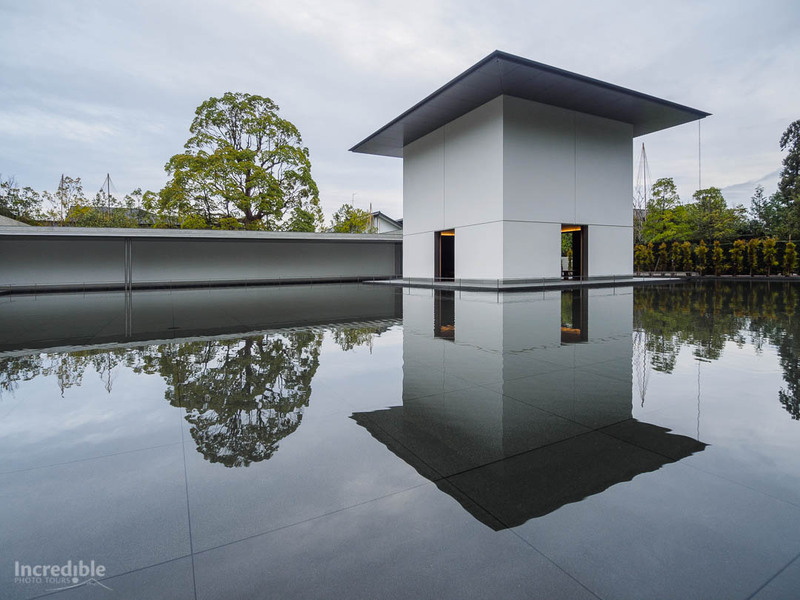 Suzuki Museum, dedicated to the man who helped introduce Zen Buddhism to the west. We return to Tokyo in the evening for our farewell dinner.